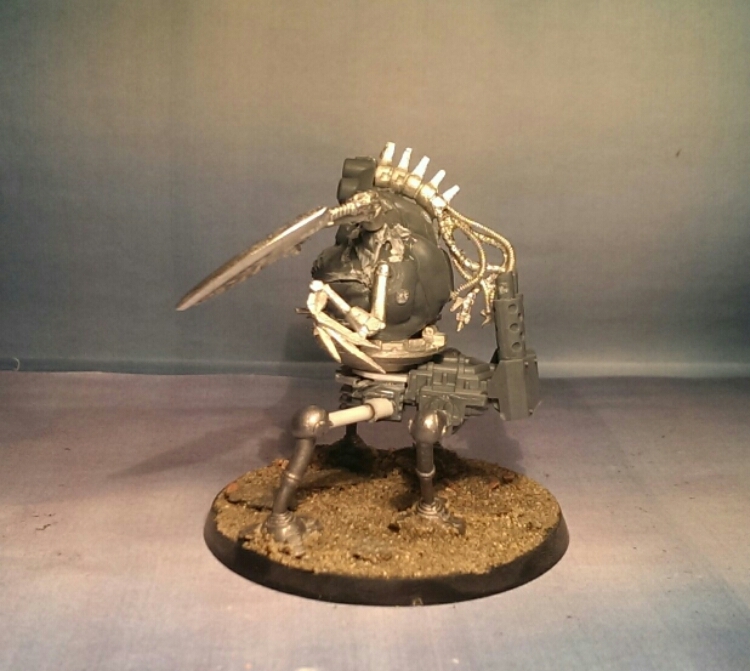 This terrifying servitor is the one doing the executions for Shizmu. The legs I got from a friend in a trade. They where marked with Ral-Partha 88. Anyone know the original source? 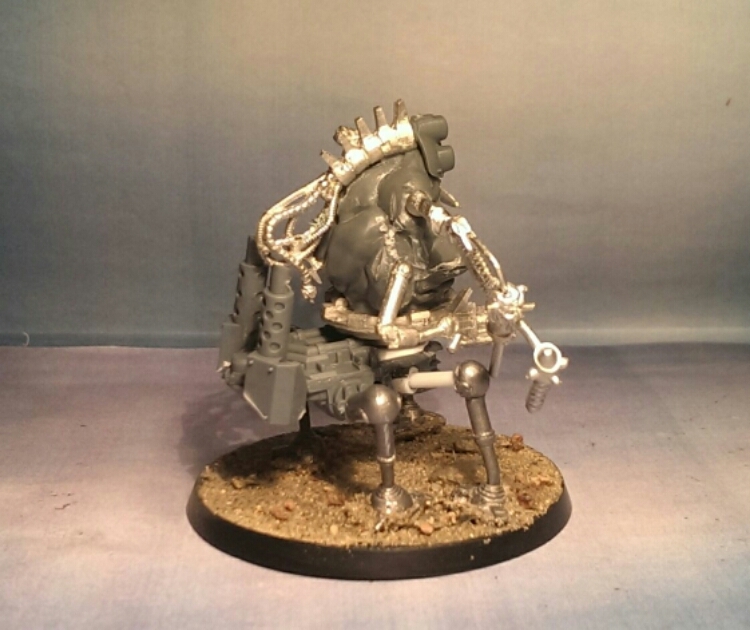 Other than that I used plasticard, sentinel bitz, oop talos bits, a minotaur torso and the head is from the Onager. Obviously a lot left but the big muscle in the warband is most definitely present! That thing is just crazy! I love it (apart from – possibly – the hairy chest, need to see that with paint on it before I make up my mind). Out of curiosity what’s the source of the base to which the legs, torso and exhaust are attached? (just to be clear I’m talking about the core of the model, not the actual base that it stands on – I’m not that daft!). Haha, cheers mate 🙂 The torso will be teched out as well so I don’t think the hair will be present after I’m done. This is like a lot of the others so far an early wip. It’s the sentinel frame with the exhaust. Haha, was hoping you were going to say you were sculpting a fat gold medallion to add to that rug 🙂 Cheers re the ‘base plate’ (really not sure what to call that bit but you know what I’m talking about at least). I have a (currently very vague) plan to make a walking weapon’s platform if it comes together but need something to make the core of it. Seeing that gives me some food for thought though. I think it’s a perfect fit for something that size and easy to work with. Terrifyingly awesome. I have to come up with new descriptive ways to tell you how much I enjoy your builds! Need your own word system. I like very much very original! Bravo! Cheers 🙂 is it the bulk of the torso and the face that does it? 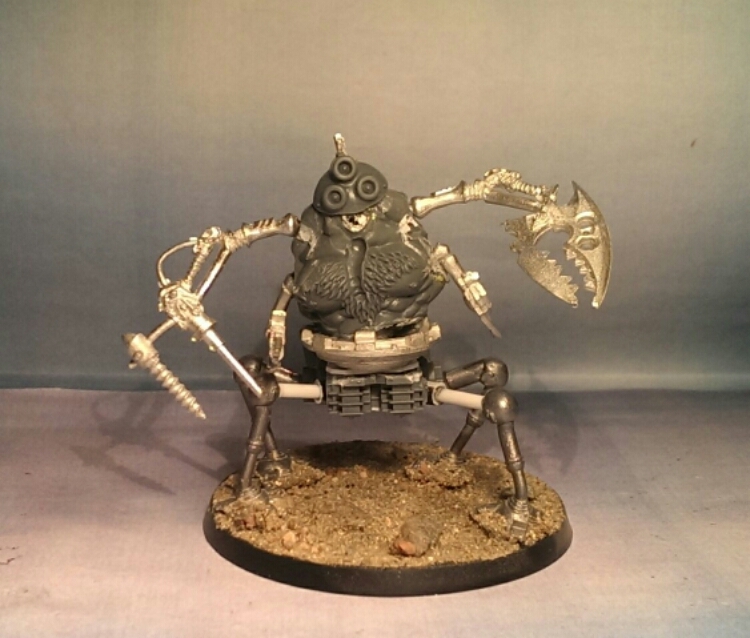 Its a combination of things – the torso for sure, the three eye lenses, plus the limbs are spindly and remind me of the Plague Drones. 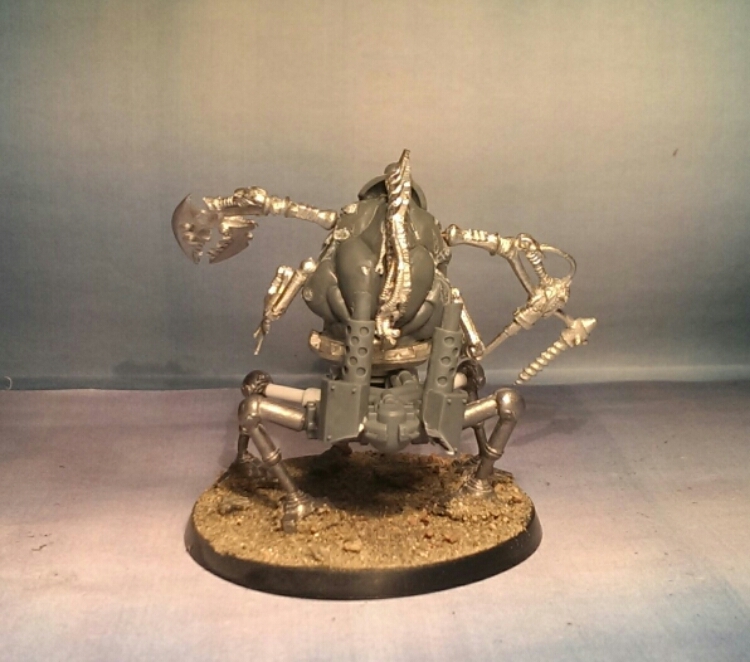 Give it some boils and pustules and it would make a great Nurgle dread/defiler/soul grinder. I actually only have one and that’s the Death Korps. Rest of my stuff is heresy either way. Xenos or Chaos.